I can remember winding in my first fish quite clearly. I was seven, and fishing with my dad on one of the many gravel pits in the Harefield area. Using one of those little kiddie’s rods that had a reel moulded into the handle, I found myself attached to a fish. Quite how that happened I’m not really sure, but I distinctly remember this little fish skipping across the surface. It was, of course, a perch – the traditional start for so many apprentice anglers – a bristling, spiky little thing of about three or four ounces, full of indignation and attitude. I let dad unhook it, as there were too many sharp looking things on it for my liking. 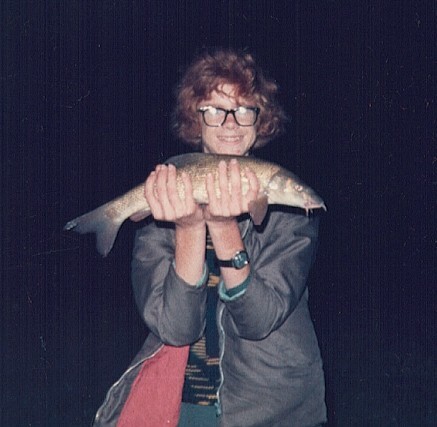 Although my first fish had now been caught, it was to be a few years yet before the fishing bug took hold of me. I went fishing occasionally with dad, which I generally enjoyed, but football was of more interest, and I much preferred to be spending my free time kicking a ball around, dreaming of playing alongside my heroes for West Ham and England. 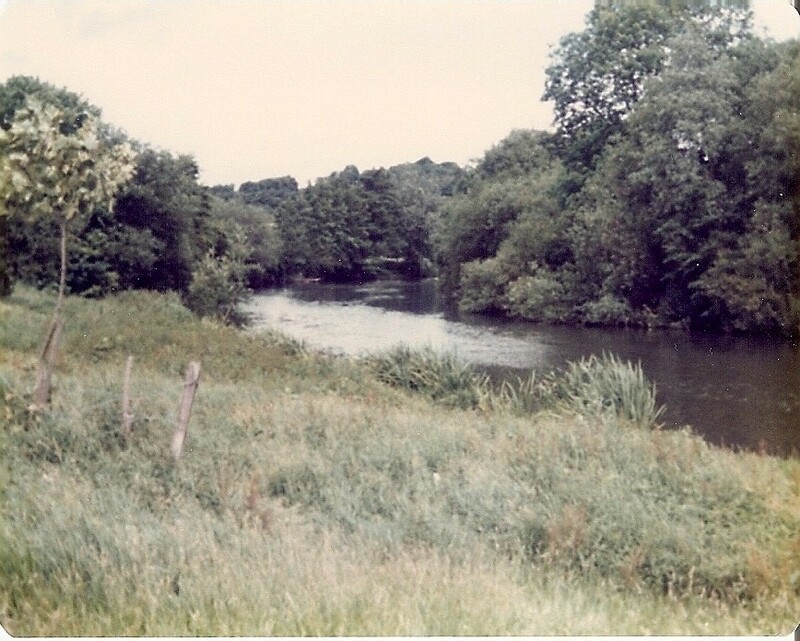 Then we moved from our Middlesex home to South Bucks, and a change from fishing pits to the Thames. 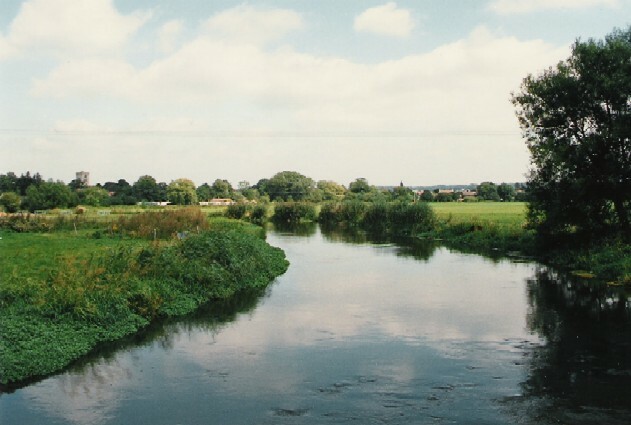 The local angling club was formed just after we arrived in Bourne End, and was lucky enough to have a stretch of the Thames below a weir. We joined and had summer sessions in search of chub, using lobworms or cheese paste. I seem to recall Dad catching a few, while I failed miserably. Still the bug hadn’t bitten, but that was soon to change. Towards the end of my first year at grammar school, two things happened that combined to have a significant effect on my life. The first occurred during a metalwork class when a cast-iron bending bar rolled off the workbench and landed on my foot. It hurt! A lot! X-rays revealed that my big toe had been broken clean in two. Although I was out of plaster by the time the summer holidays came around, the doctors told me that I mustn’t kick a football for another two months. Bad news!! How was I supposed to get through the holidays without playing football? The second event provided the answer. One of the other boys who used to travel on the same school bus as me – coincidentally also named Peter – happened to ask one day “Do you go fishing?” Of course I replied, “Yes”. From that opening gambit, we talked more and more in the lead-up to the holidays about our shared interest. End of term was eagerly looked forward to for more reasons than usual. So the summer holiday was taken up with increasing numbers of visits to the Spade Oak stretch of the Thames. Our limited skills and resources meant that these trips were largely bleak bashing sessions, the Thames being full of them at the time. Baits were mainly bread paste, or when pocket money would allow, a four-mile bike ride into Marlow to get a 6d (that’s two and a half pence to you youngsters) scoop of maggots. A scoop would just about last us all day if we only used them as hook-baits. The tackle shop had an ancient, stuffed, twenty-pound pike hanging on the wall, which we were in awe of. What a magnificent-looking creature we thought it was. The shop also had that distinctive atmosphere about it that made it seem a special place to be. Proper floats made of wood and actual quills, hooks and shot supplied not in packets or plastic tubs like today, but in little tins with sliding lids, the sharp edges of which resulted in numerous cut fingers and were probably banned for health and safety reasons. It was only a small shop, upstairs from the hardware shop that was the main business, but it was like a little Aladdin’s Cave to us youngsters. Our days on the river were mini-adventures back then for us twelve-year-olds. Rod strapped to the crossbar of our bikes and duffel bag containing tackle and sandwiches wrapped in grease-proof paper on our backs, we would make our way down to the river, wondering whether today would be the day that something larger than a bleak or gudgeon would fall to our rods. Our first sight of a big fish came late in the summer. One day we wandered up to where a sewer outlet discharges into the river. The outflow was always full of minnows and other small fish. On this day, there was also a huge pike present. Well it seemed huge to us at the time, but probably weighed only about five or six pounds. It was darting into the shoals of tiddlers, sending them scattering in all directions, only to for them to regroup again within a few seconds. We caught some of the tiddlers and used them as baits. As I look back on it now, it was fortunate the pike didn’t take, as we would never have landed it on our feeble gear and neither of us possessed a landing net. But it was still a thrill to fish for this real-life leviathan. The holidays came to an end and it was back to school. I was once more allowed to play football, but failed to make the school team. Disappointed, my enthusiasm for playing the game began to wane, as the truth regarding my limited talents began to dawn, along with the realisation that I wasn’t going to be running out at Upton Park every other Saturday. With the onset of autumnal weather, Peter and I didn’t spend much more time fishing that year, as we were yet to possess such luxuries as umbrellas and warm, waterproof clothing – at least none that we were allowed to go fishing in. Instead we began to read as much fishing-related literature as we could find in our local library. I also started to get the Angling Times delivered every week alongside my regular edition of “Shoot”. The stories and articles both inspired and informed us, and we began to formulate plans for next season, with designs on something more substantial than a bleak. Roach, chub, barbel and pike were the fish that we aspired to catching, with roach considered the most likely prospect. When the new season came round, we started to try to put into practise the techniques we’d read about, but we didn’t really see too many more fish coming to the bank. However, the occasional roach and perch did make an appearance on our lines and this was seen as a definite improvement and a sign of our growing skills. We also began to acquire newer and better tackle, as weekend jobs and paper rounds expanded our purchasing power, and “Father Christmas” was persuaded to leave new rods and other gear under the tree. That was also the season when I first set eyes on the fabled Hampshire Avon at Ringwood, when our local club ran a coach trip there. I was captivated by the nature of the river, with its streamy, clear waters and thick, waving weed beds, which were such a contrast to the usually murky, sluggish depths of the Thames. A friend of my dad caught two beautiful, bronze-flanked chub, and another angler landed a barbel – the first I’d ever seen. Wow! What a fantastic fish! A tired young angler fell asleep on the coach home, dreaming of what it would be like to hook one of these glorious fish. For the following season, the priority became to catch a barbel, although a chub would be a good second. Float fishing had been the staple method up until then, but we began to swat up on articles related to ledgering, as that seemed to be the best method for catching barbel. Coffin leads, bullets and those new-fangled block-end feeders appeared alongside the floats in our tackle boxes, with cheese replacing bread in our bait tins. Stronger lines and bigger hooks were also acquired. A waiting list to join the local club had meant that Peter had been unable to get in, but that season his name came to the top of the list. Now we could switch our attentions to the club’s stretch below the weir pool, where there was a much greater chance of making contact with the barbel and chub – or bub and charbel as I accidentally referred to them one day, one of those silly things that, whenever repeated, was guaranteed to reduce us to fits of giggles in the years to follow. Once the summer holidays began we started on a new type of adventure – fishing after dark, exciting in itself, even without the prospect of a big fish to consider. Funny how the slightest sound seems to become so amplified after the fall of night. As isotopes didn’t exist in those days, we would use our bicycle lamps to illuminate our rod-tips. Chub were the first species to begin falling to our crude methods, Peter always seeming to catch more consistently than me, even though we were using the same baits and tactics. Then in mid-August, came a special day. 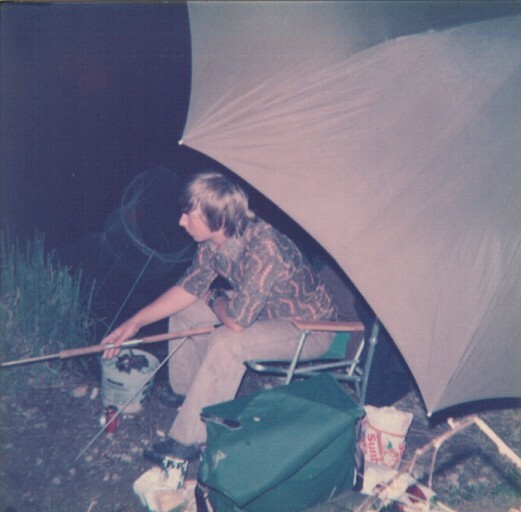 Peter, my dad and myself were fishing side-by-side one evening in the gravel runs below the weir pool. Not long after darkness had fallen, the rod-tip pulled round a few inches, stopped, and then pulled round a few more inches. I struck, and instantly knew I was into something a bit special. “I’ve got one!” I announced, trying, probably unsuccessfully, to sound calm. Meanwhile, a powerful and seemingly unstoppable force at the other end of the line was trying to wrench the 10 foot split cane rod from my grasp. I was already convinced I’d hooked a barbel, as none of the chub I’d caught had ever been able to pull this hard. It ploughed through a weed bed, and I seriously thought there was no way I was going to get the fish to the net. Fortunately it began to tire, line was retrieved, and eventually dad slipped the net under the fish, along with a large clump of weed that it had wrapped itself in. On the bank we cleared away the vegetation and I was able to examine my prize. YES – A barbel! We weighed it on my Little Samson scales. Dad had to do the honours as I was shaking too much to hold the scales steady. After deducting the weight of the net, we settled for 3lbs 6ozs. I held the fish in the margins, in the way that I’d read you had to, until it recovered and swam away. I now felt like I’d become a proper angler. Although Peter continued to outscore me for chub, he had to wait until the following season for his first barbel. This one also came from the Thames weir pool. I can still recall Peter’s expressions of disbelief (which I can’t repeat here – we shouldn’t have known those words at such a young age!) as the fish bent his rod double in its attempts to escape. We both managed a couple more during that summer, though none were over three pounds. Around this time, roach began showing on the club stretch in great numbers. The float rods came out again on a more regular basis, as trotted hempseed would see us put together a number of good catches of the redfins, together with lots of dace and a few chub. At the time, there was an elderly club member, who was expert at river float-fishing. He was a true gentleman, who was only too happy for us to sit on the bank and watch and try to learn from him. Like so many experts, he used to make it look so easy too. We began taking part in the club’s matches and I celebrated our final season as junior members by winning the annual Junior Match, just pipping Peter, who finished second. I don’t think he ever forgave me for that! As we moved up into the senior ranks, much of our fishing was in matches and on club outings, with occasional sessions after the chub and barbel. However, barbel had become established as our favourite species and even though we had caught very few of them, we dreamed of one day catching a monster over 10lb. Thanks to the fact that Peter had starting dating a charming girl who’s family were fairly wealthy, we were given permission to fish from a section of private Thames frontage. I was fishing there on my own one autumn evening, using a rod I’d borrowed from Peter, when all hell broke loose as the lobworm bait was taken very forcibly. A new personal best barbel of 5 lbs 4 ozs was the cause of the mayhem. Just as I had hooked into it, Peter turned up, having heard that I was there and wanting to see if I was catching. His timing couldn’t have been better. Neither of us had seen a barbel this big before. Peter was as pleased as I was to see this fish – and that was how it always was with us. Although of course there was a certain amount of friendly rivalry, we were always happy with each other’s successes. It was around this point that Peter began to spend time away from home with work. We were always in touch while Peter was away, but we were rarely to fish together again. Sadly, Peter passed away aged just 21. More than thirty years have passed since then, but I still miss those times we shared together and often think of him when I’ve had a good day on the river, wishing he could have been there to share the moment. 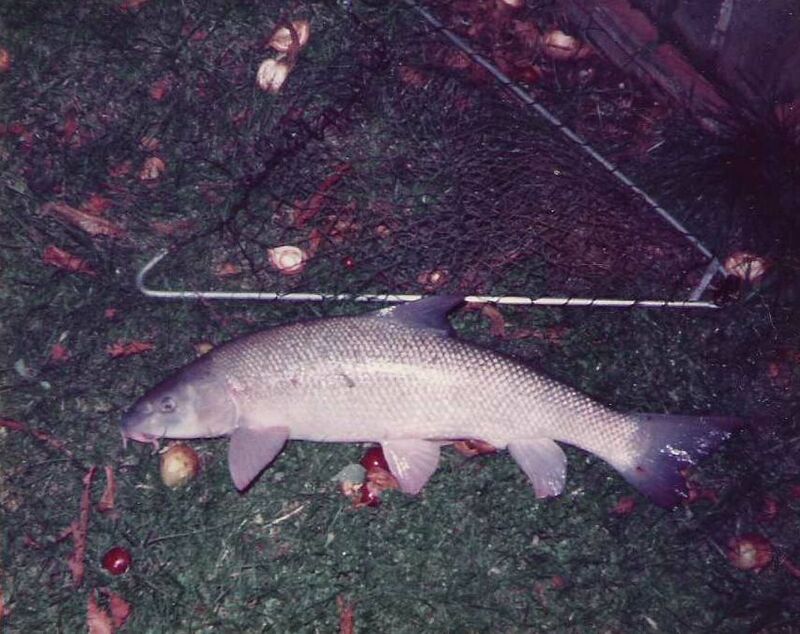 Twenty years after my first visit, I eventually caught my first 10lb barbel from the very same stretch of the Avon at Ringwood that had inspired those early barbelling ambitions. As I slipped the fish back into the river, I silently dedicated her capture to Peter. Hi, awesome article. I really loved your article. I am a massive fan of fishing. It is really cool. Thanks mate.